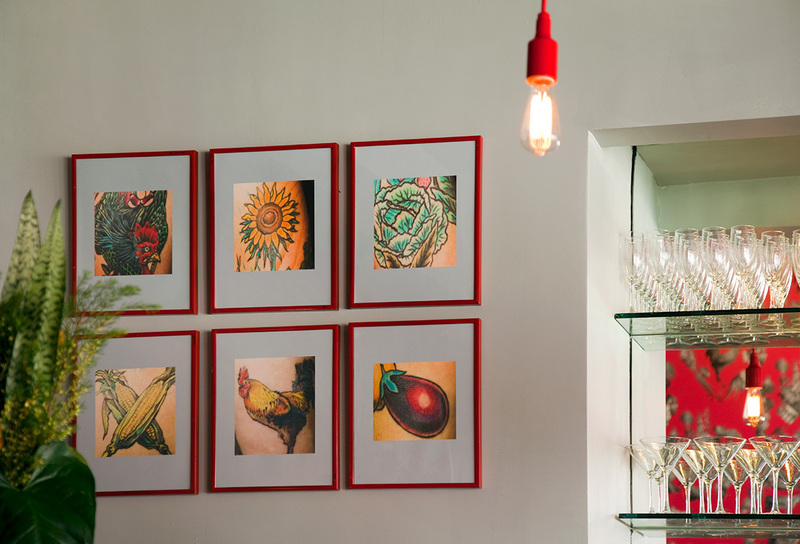 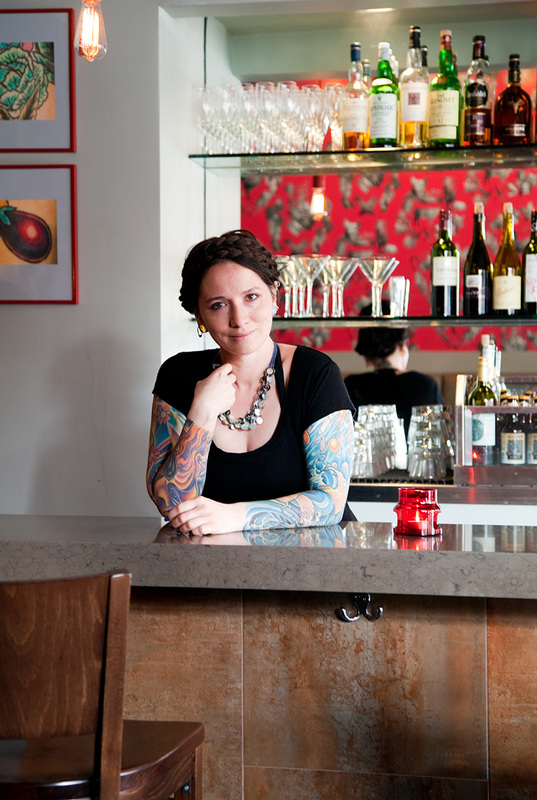 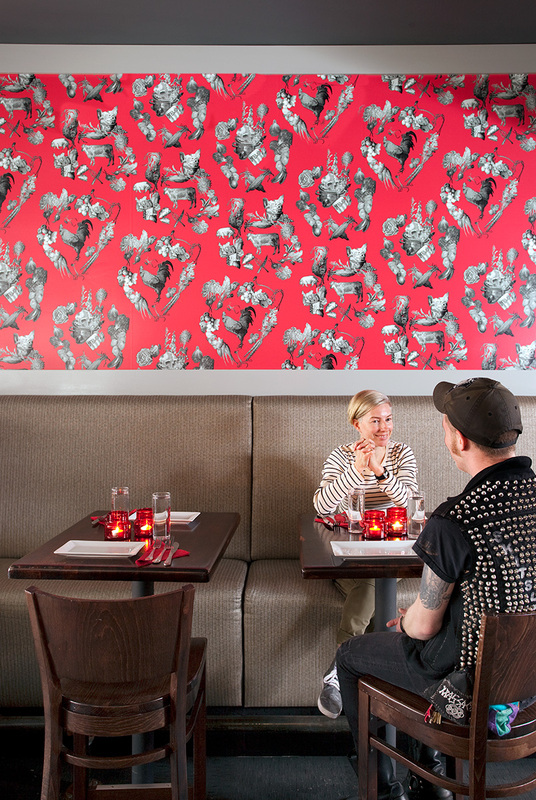 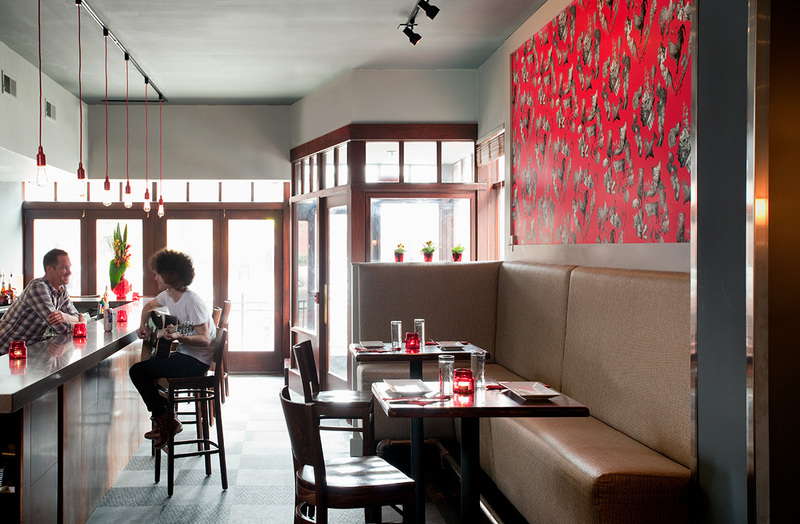 Chef/owner Andy Husbands’ only design direction was the restaurant’s motto: “fun, funky and professional.” 30E design developed a clean, elegant and contemporary interior that centered on a tattoo-based graphic and expanded bar. 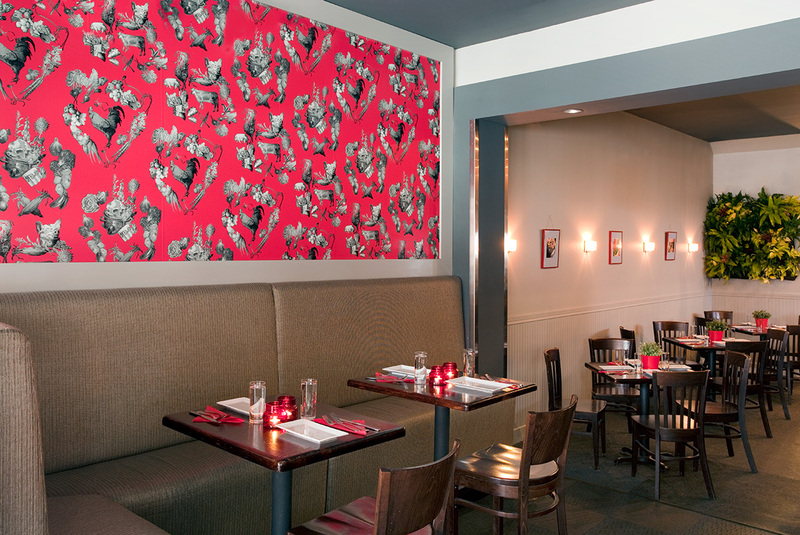 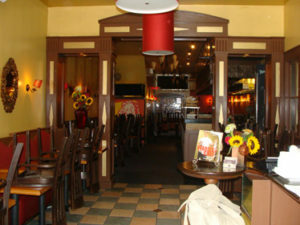 The first order of business was to remove much of the late ‘90s-inspired décor. 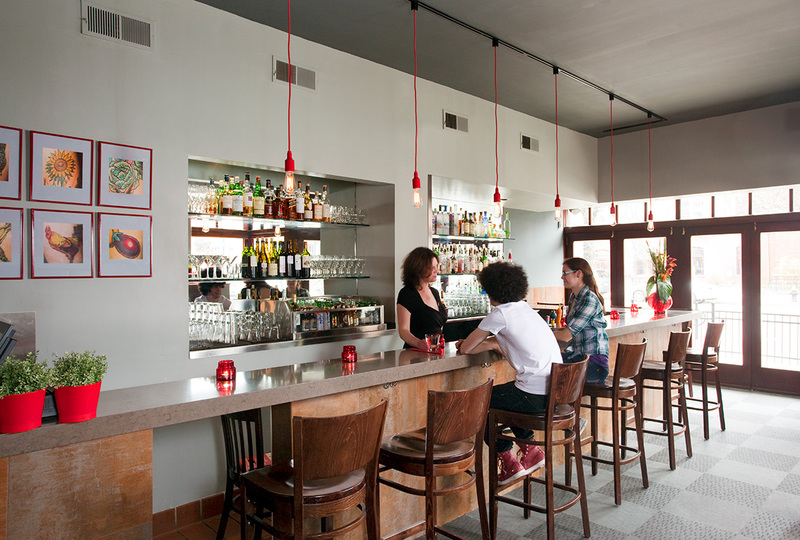 By removing some of the existing elaborate architecture and simplifying rather than adding to the design, 30E design created a neighborhood restaurant with a modernist feeling. 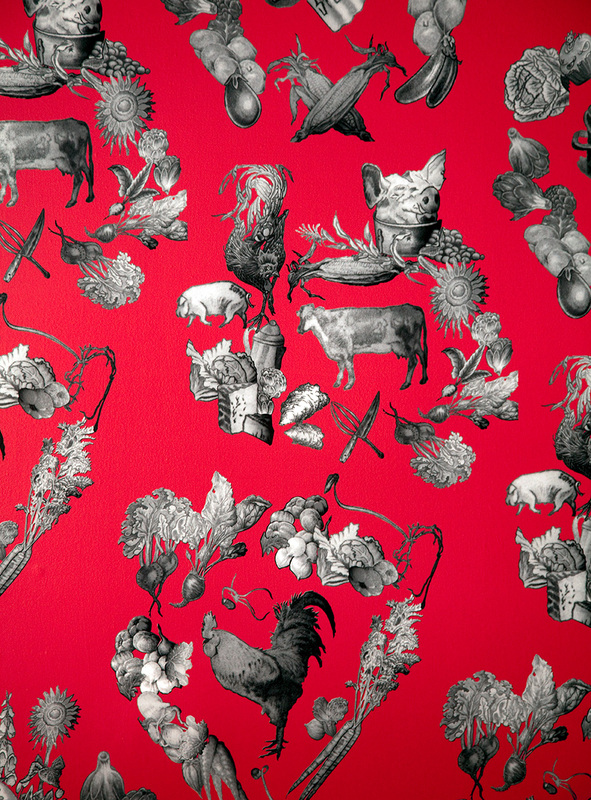 This graphic is a contemporary and maybe ironic re-interpretation of the classic “toile de jouy.” The subject matter of this toile is food-related tattoos, inspired by the many tattoos of chef/owner Andy Husbands.